Pat Molnar’s grandfather Ed Biaggini has his picture hung on the wall in the ag building because he donated the first set of Angus cattle to Cal Poly. Pat has carried on his family’s cattle ranching legacy today as one of the most successful cattle ranchers in San Luis Obispo County. Pat began his career in the cattle industry in high school when he and a friend purchased heifers that they turned out on his family’s ranch he still resides on today. Thirty years later, his herd has grown from those original four heifers and one bull to around 290 cattle he continues to run on his home ranch as well as five other leases on the central coast. This is a picture taken from the ranch he originally ran his first cattle on and continues to reside today. “I always learn something when working cattle with Pat. He is always doing something a little different. In a world where people tend to do things the same way their fathers did its good to try and improve a little. Pat attended Cal Poly in 1980 where he studied animal science. The most valuable and beneficial part of his education was the economic classes he took about raising cattle. According to Pat Having a good fundamental background on the economic side of raising cattle is key to success in the business. The biggest problem he has seen with people getting started in the business is bankruptcy. “I actually made it in the cattle business leasing ranches and that I got the cattle paid for and was able to start working off money in the bank rather than loans from the bank, it’s very difficult to do that”. 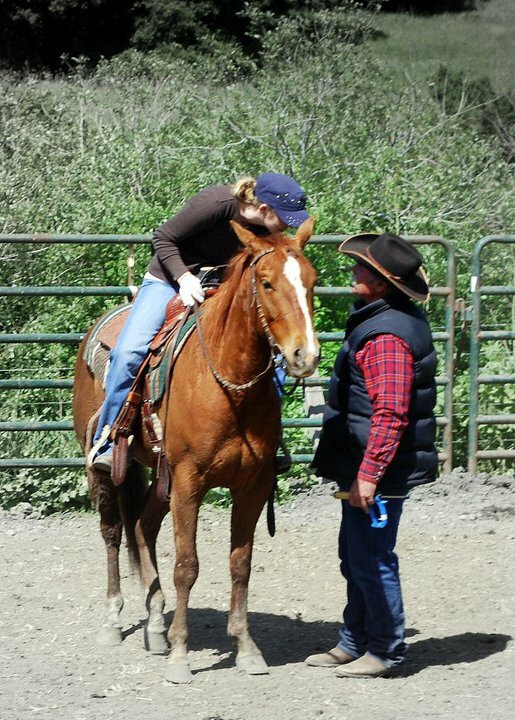 Here is Pat in the branding corral helping to coach his daughter Fallon as she learns to rope. This increase in profits will allow ranchers to get bills and loans paid as well as put excess profits in the bank. However, he also predicts that in 5-10 years ranchers will produce themselves out of business as they have done before. The influx in cattle prices will lead to ranchers retaining heifers, which will build up the national cow herd and result in the market going back down as a result of the surplus of beef. California has been in a drought for the last several years, this year it was worse than any drought in recorded California history. The drought has caused ranchers feed expenses that have forced many ranchers out of the cattle business. Despite a slight decrease in herd numbers Molnar has been able to maintain his cattle through the drought. He credits his stability in the business to very accurate records of the rainfall he has kept for the last twenty-five years. According to Pat, this is the 4th time a drought of this nature has occurred. He has learned that if you hang on to your cattle through the hard times eventually rain will come. According to his records, and his four past experiences with droughts he predicts next year will be an el Niño year. Get a good idea for how to manage during the drought. For example how much you will need to spend on feed, and whether you need drought insurance or need to cut sell a portion of your herd to pay for expenses the drought causes. 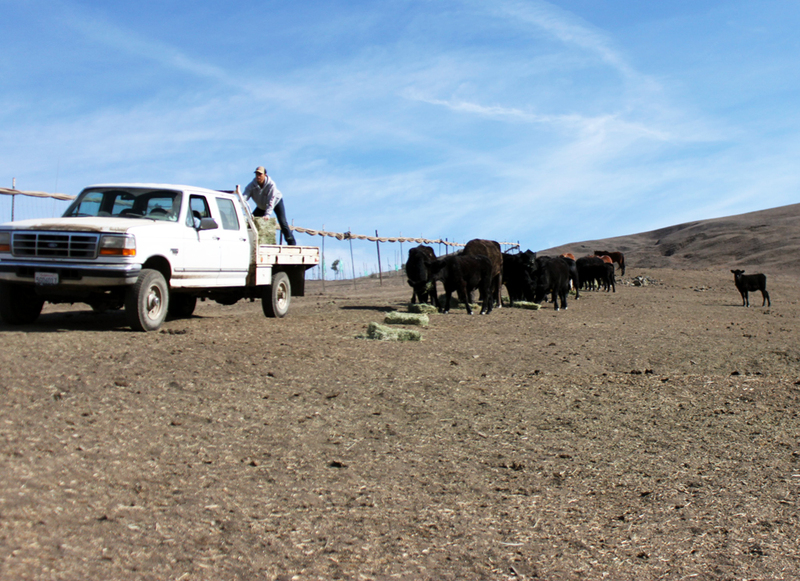 A shot of Pat gathering cattle on one of the ranches he leases in Harmony CA. -Lazanoff is the beef operations manager for Cal Poly. -Cal Poly runs about 300 cow/calf pairs, and has steers on three ranches and the feed lot on campus. -Lazanoff is in charge of all cattle enterprises on campus. -Their are eight student housing units for the beef unit and several other students employed on top of that. 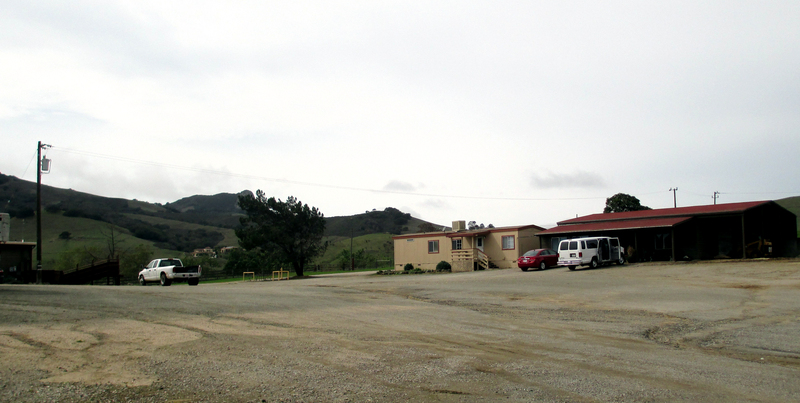 The feedlot on the Cal Poly campus located at the beef evaluation center. Lazanoff attended Cal Poly as an animal science major and after graduation dove head first into the cattle ranching industry. Despite not owning any land of his own Lazanoff has ran some of his own cattle on different leases in the county. 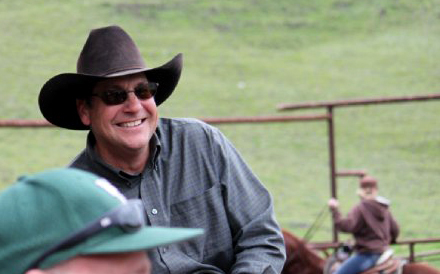 He is a past president of the association and is the chairman for California Cattlemen’s Range Improvement Committee. He has also managed the historic Santa Margarita ranch overseeing over 700 cattle. Aaron is now the beef operations manager for Cal Poly. The Cal Poly beet evaluation unit where the confined feeding areas are located. One of the beef unit residences on campus. 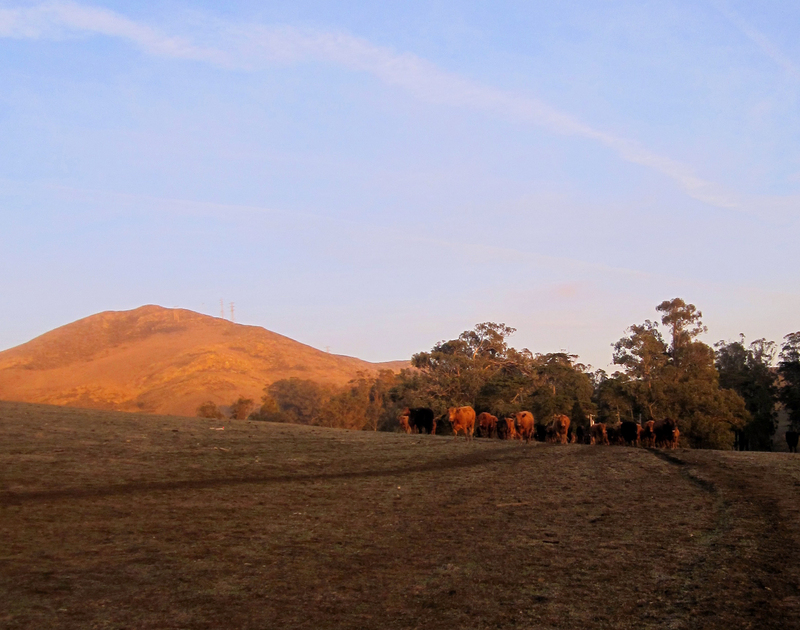 Cal Poly has produced many successful cattle ranchers and cattle industry workers. 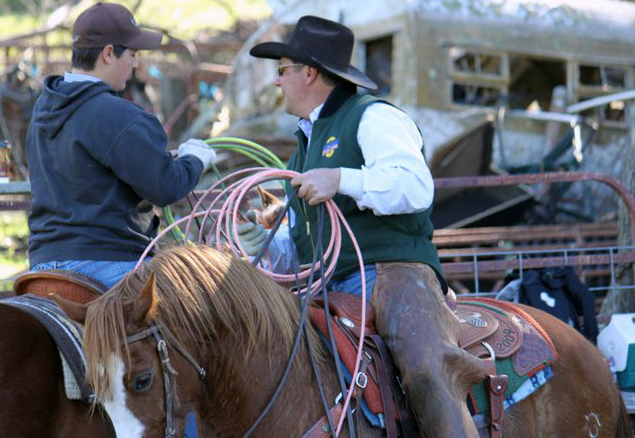 Cal Poly continues to produce exceptional members of the industry not only through classes but through different clubs and organizations on campus that tie into the cattle industry. Featured in this post are several student leaders on campus actively involved in several of these clubs and organizations. They will each answer a question about how their organizations have provided them with tools and experiences pertaining to the cattle industry. How has being a member of the Cal Poly rodeo club coincided with the cattle industry and what have you gained from it? Lane Santos is a 3rd year agricultural communications student. 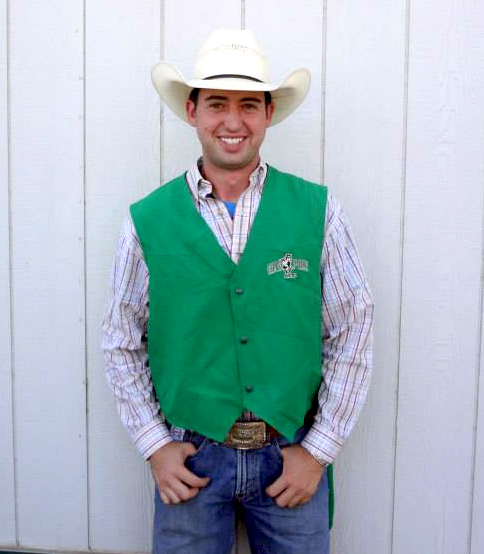 He has been a member of the Cal Poly rodeo club for three years and is currently president. He has qualified for the National Intercollegiate Rodeo Association (NIRA) finals in Casper Wyoming the last two years, competing in the team roping, steer wrestling, and calf roping. He won rookie of the year there in 2012. What is the biggest opportunity being a member of the Cal Poly Young Cattlmen’s Club has provided you and what are some of the biggest lessons you have learned about the cattle industry? Natalie Madson is a 3rd year agricultural communications student. She has been a member of Young Cattleman since her freshman year and has traveled all over the United States as a result. She grew up on a working cattle ranch in King City and is a 3rd generation cattle rancher that hopes to carry on the family business. How has being a member of the Cal Poly Dairy club provided you with tools and experience to be successful in the dairy cattle industry? 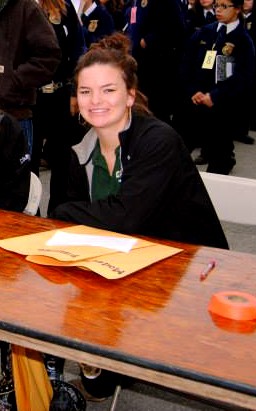 Shelby Locke is a 4th year dairy science major at Cal Poly. She has been an active member of the dairy club since freshman year and served on the board as treasurer in her sophomore year. As a third generation dairy farmer from Tulare CA Shelby plans to take over her family’s dairy, Top O’ The Morn farms someday. 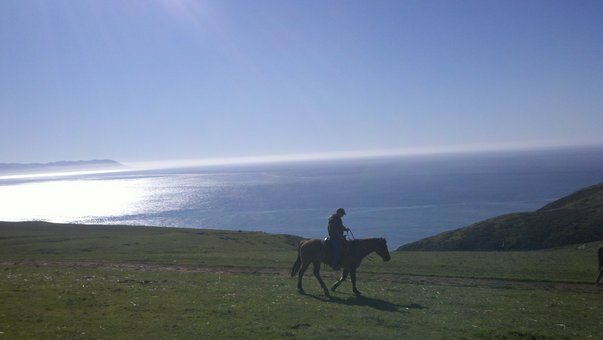 Marvin horseback at a branding in Cayucos CA where he grew up. Marvin helping younger Cayucos Cattlewoman, Nikki Hartzell and her family’s branding. 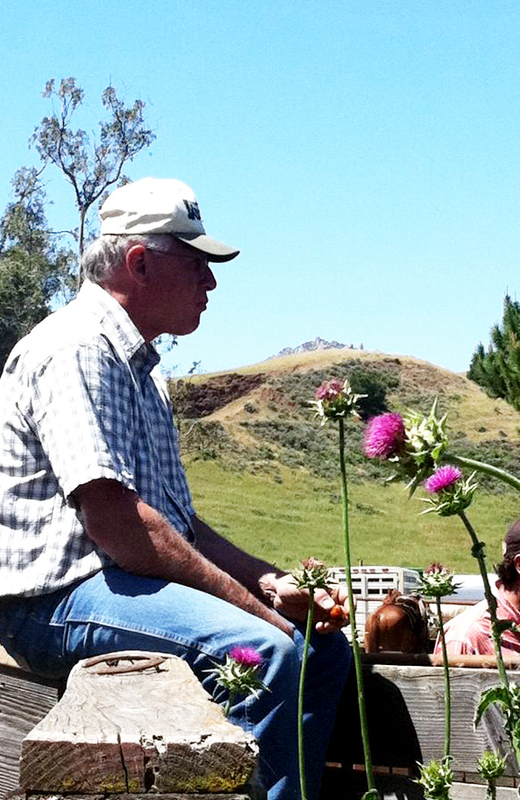 Marvin attended Cal Poly from 1965-1971 where he graduated as an ag business major. He had a two year gap in his education where he served time in Vietnam. He was released early from war to finish school. In his major having an agriculture background helped him to succeed, but the financial and economic aspects of his education have aided his career along the way. Marvin at one rime ran up to 250 cattle but over the years has lowered his number to a herd of 75 he raises in Cayucos. 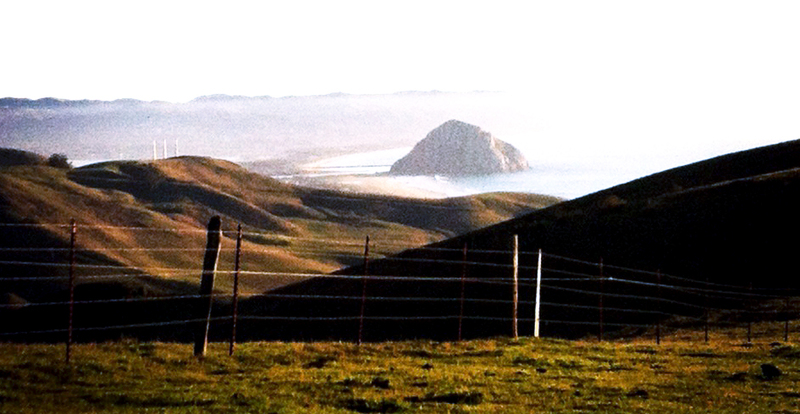 A shot of the ranch Marvin currently runs cattle on in Cayucos taken while gathering cattle for his branding. Despite the gamble agriculture is still a large industry in California and San Luis Obispo county with many opportunities. To see how much money is in San Luis Obispo county agriculture click here. -Paul’s family has been involved with cattle for over 140 years. – Along with his two brothers Phil and Pete they run around 250 head of beef cattle. 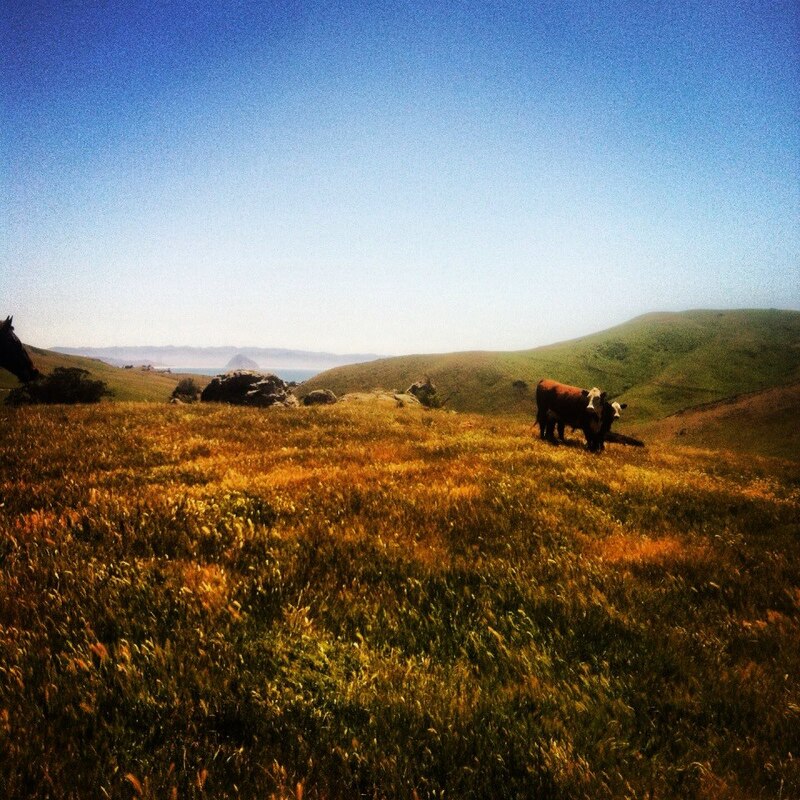 -Their ranches in Cayucos and Los Osos have been in their family since the late 1800’s. Paul overseeing a branding, which he describes as one of his favorite traditions in the cattle ranching world. Cattle ranching is all Paul Tognazzini has ever known . The Tognazzini family has been in the cattle business for over 140 years. He was raised in Cayucos on 1400 acres that have been in his family since 1875. Paul’s father, who was selected as Cattleman of the year for San Luis Obispo county in 2012, switched from dairy cattle to beef cattle in the mid 1940’s. Paul along with his two brothers, Pete and Phil are all 4th generation cattle ranchers and continue to run around 25o head of beef cattle on that same ranch, as well as a lease they have in Cayucos and another that they own in the Los Osos area. Paul bought his first herd of 35 cattle while attending college at age 20. He ran them on a lease he acquired, and borrowed $7,000 dollars from a family friend to purchase the cattle.He payed $150 per cow and ran cattle on the lease for 10 years. When he moved off the lease he had payed back the $7,000 he borrowed and sold those same cattle for $225 per head. 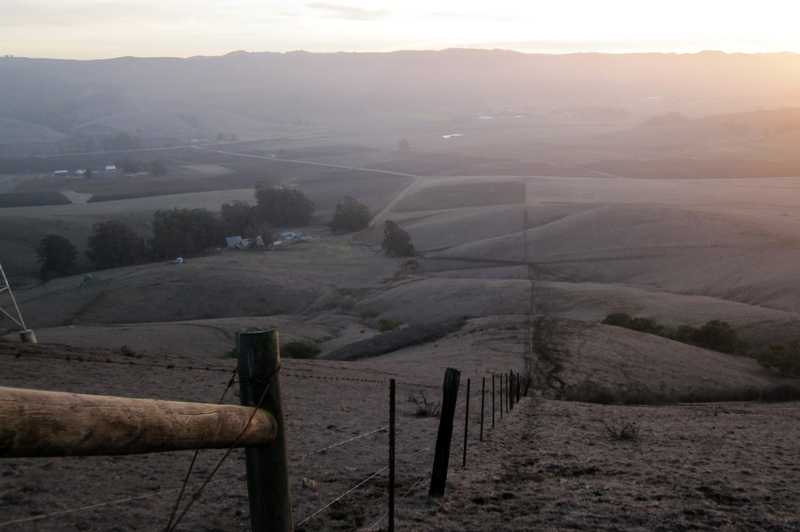 After an uncle passed away he and his brother Phil he took over running cattle on his family’s Los Osos Valley ranch. Paul also ran cattle on several other leases until eventually his father allowed he and his brothers to take over the home ranch in Cayucos and the 1000 acre lease neighboring it. Referred to as the ‘Gianolini’ ranch this the ranch Paul and his brothers run cattle on in the Los Osos valley. His grandmother was born and raised in the house on the property, and Paul’s son Charlie now resides in the same house. The ranch consists of 900 acres that have been in his family since 1890. Paul credits the good quality cattle they produce to using the best bulls they can afford as well as his land, “take care of the land and the land will take care of you”. A group of Paul and his brother’s cows and calves that remain happy and healthy despite the severe drought occurring in California. With the help of his son Charlie, and his brothers Paul feeds their cattle around 60 bales every other day. Jack Varian was was born in San Luis Obispo and raised in Palo Alto, California. Like many you boys he dreamed of becoming a cowboy. When world war II took place Jack was 8 years old and contributed to the war efforts with a Victory garden. That garden affirmed his love for agriculture. When he was nine years old Jack rode a horse for the first time, and at the age of 12 he worked at a farm in Missouri. That ambitious young man has evolved into one of the most successful cattle ranchers in San Luis Obispo county who along with his wife Zee Varian now runs a successful 17,000 acre working cattle ranch in Parkfield California. Is how Jack describes his first experience running his first 100 cattle on the original 2700 acres he purchased out of college. They were able to sell the brush filled land that was not made to run cattle on in 1961 and purchased their first 8,000 acres in Parkfield California. The ranch has grown into the 17,000 acre V6 ranch which runs from 700-1500 cattle a year. As California faces the worst drought in recorded history Jack is prepared for the hard times with alternative methods, using irrigated pastures and his latest of growing grass hydroponically. Fodder grass, or animal feed is any feedstock used specifically to feed domesticated livestock. 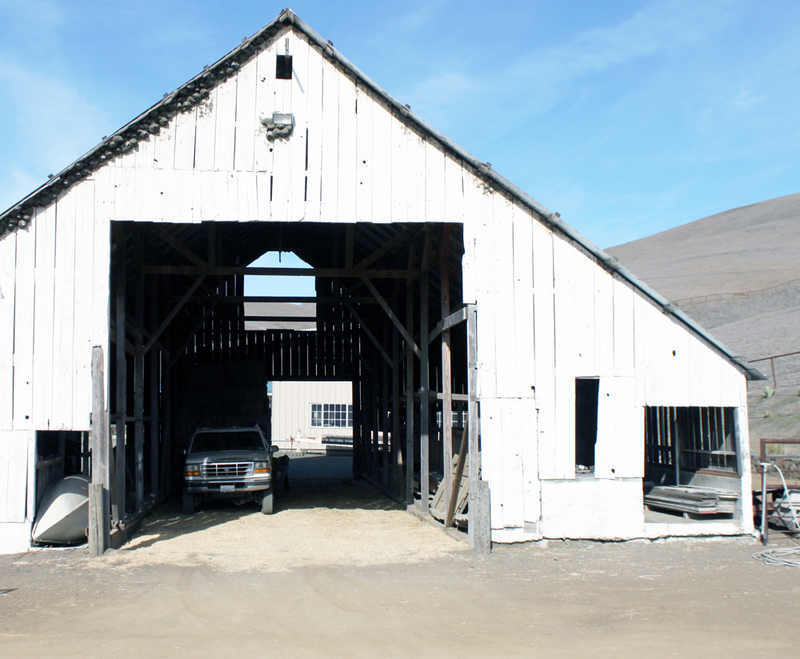 “I knew that if I wanted to have something grass fed on a sustainable basis I couldn’t depend on the weather.” Jack uses seven old truck trailers he converted into growing sheds to grow about 6,000 tons of fodder feed weekly. To learn more about Jack’s grass fed beef and the added benefits click here. Here is Jack’s pasteur irrigation systems he designed using recycled ranch materials. Their are 740 of these in the pasteur and cost him $13.00 dollars a piece rather than the $100 dollars purchasing them new would have cost. He saved over $50,000 dollars. 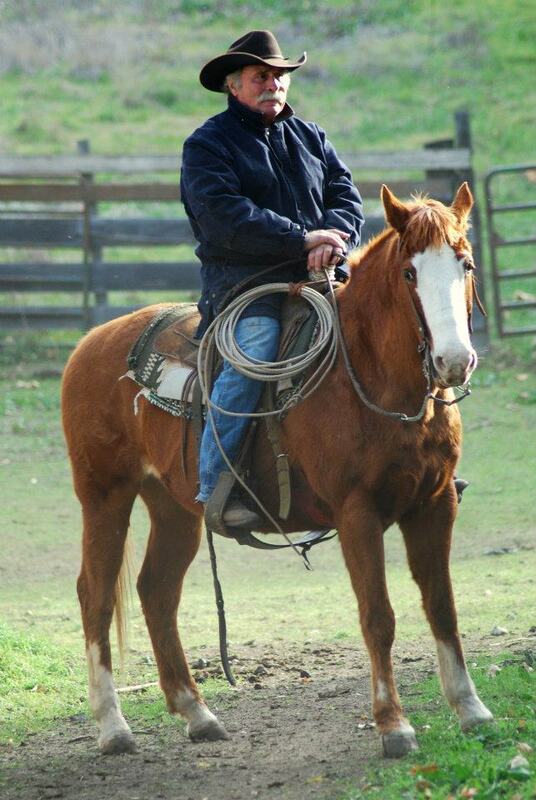 Jack refers to his ranching style as holistic management and everything he practices is based on those beliefs. This means that when he makes a decision he considers the whole. Sherry Molnar received her MBA from Cal Poly in 1996, soon after she married a successful cattle rancher named Pat Molnar and changed her career path drastically. She has ended up running a business, however the Valley girl from Fresno, is in a much different field than what she had originally planned. While her husband Pat is busy running their family’s construction company, Sherry spends her days managing their twenty acre avocado farm on their home ranch in Cayucos, and almost 300 head of cattle. With six leases stretching along highway one from Cayucos to Cambria, in the midst of California’s worst drought ever Sherry has been using around four hours of her busy days, everyday since October feeding cattle. I was able to follow the cattle woman for a day as she made her rounds feeding and checking cattle. Sherry loads 43 bales a day to feel almost 300 cows and bulls. The bales weigh on average between 104-120 lbs, and cost around $9.50 per bale. Between hay costs, labor costs, and gas costs she spends around $600 dollars a day everyday keeping her cattle fed. Helping Sherry day is their ranch hand Ryan Sandoval. He is twenty years old and works for them full time. When feeding cattle one person drives, while the other pitches hay off the truck. Sherry and Ryan alternate this job. As she drives to the first location referred to as the Gifford, and look for a spot to feed, Sherry tells explains that it is the first lease her husband ever had.He began running cattle on it 30 years ago. Because this is the worst drought they have ever had, they may be forced to sell all of their cattle on this ranch and the other ranches they lease. The truck that Pat bout in 1997 and still uses daily, holds over 1800 lbs of hay to feed the 187 pairs that reside on the Gifford ranch. 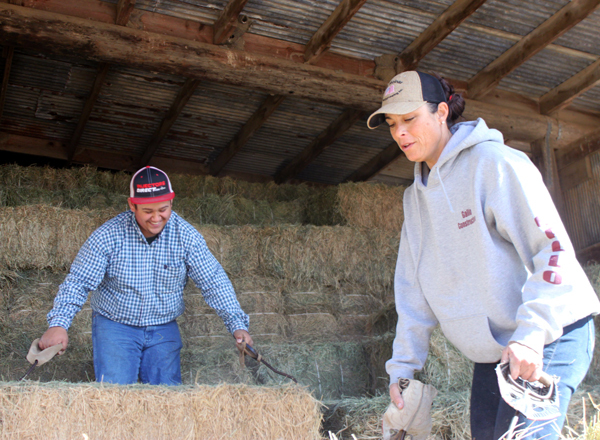 “For every cow we feed 15 pounds of hay, and we make sure to spread the hay at least 10 feet apart” Sherry explains as she lets Ryan out of the truck to cut the bales open so they are ready to be thrown. As Sherry begins to drive the cattle are ambushing the truck in an attempt to start eating. As the picture shows there is no grass to be found on the ranch forcing the cattle to rely solely on Sherry and Ryan. As the truck drives up the hill the cattle begin to spread out. Ryan, a 20 year old Morro Bay local has been working for Pat and Sherry since the feeding season began. “I always showed cattle in high school so I enjoy still being around them everyday, and it is also amazing how could of shape I have gotten into” Ryan explains about his feeding job. “I have so much respect and admiration for how hard I see Sherry work everyday. I don’t know a lot of other women that can do what she does in the avocado orchard and with the cattle”. After all 18 bales are fed out at the gifford ranch we drove down the road to Sherry’s home ranch to feed their horses, kid’s show cattle, and “pet herd” which are the livestock they keep as pets. They eagerly awaited Sherry and Ryan’s arrival. 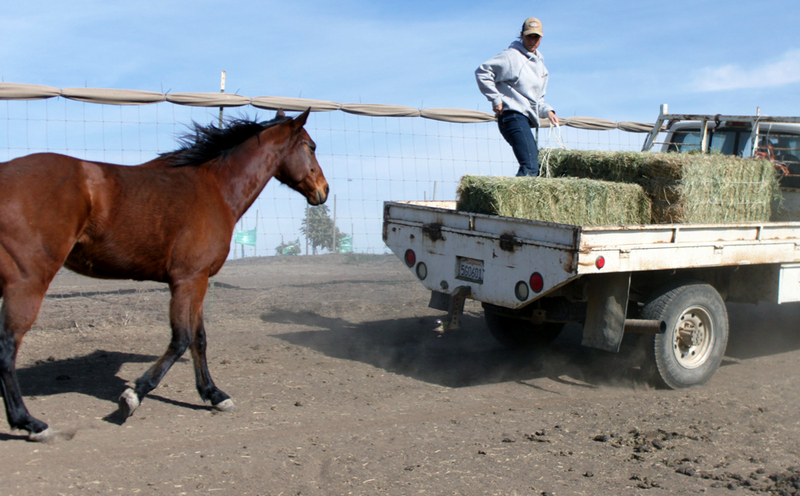 Sherry’s husband’s team roping horse follows close behind as she gets ready to pitch hay. Sherry pitches hay to her animals, directly next to the avocado orchard she had been working in all morning. “My job never ends, and theirs never enough hours in the day but nothing is more satisfying than watching my calves pop up like daisies, or my trees showing new growth. It’s more rewarding than any desk job could ever be.” Explains Sherry. The top of the Fawley ranch boasts amazing views and more hungry cattle eagerly awaiting the arrival of the feed truck.